The Sony a6300/a6500 cameras are excellent tools for still and video work thanks to their high quality 24MP APS-C sensor, fast AF system and professional 4K capabilities. 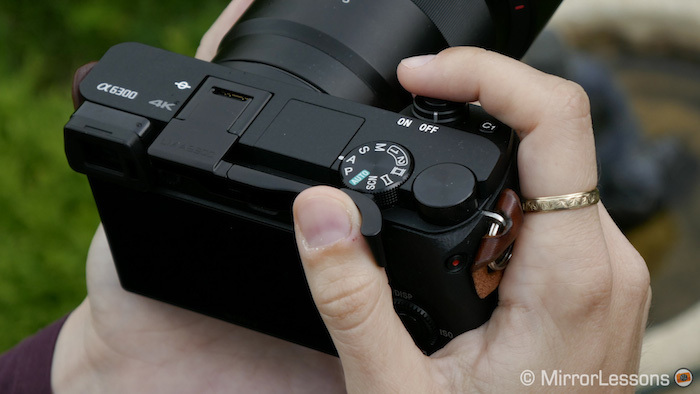 Their compact size makes them the ideal companion for everyday photography but as soon as you start to use them intensively, you will likely need a few extra accessories to make the shooting experience more comfortable. 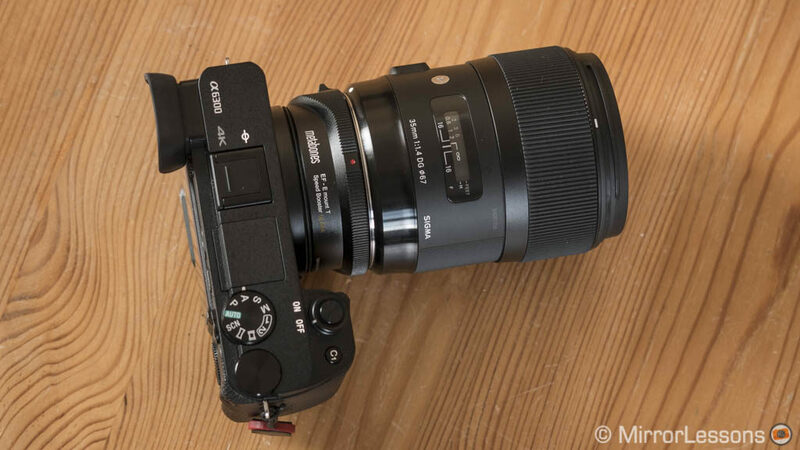 This is why we decided to compile this in-depth list of all the products we felt could be useful for an a6300/a6500 user. 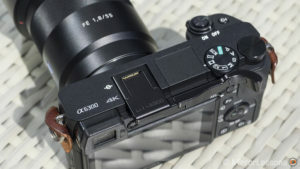 Just as with our Fuji X-T20 accessory article, we carefully selected and tested all the items to make sure they are reliable. For many categories, you will find two products that each fulfil different needs or budgets. 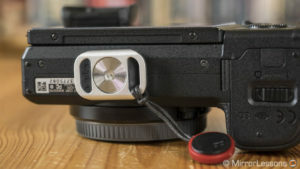 Suggestions: as you can imagine, it is very difficult to try all the accessories available for these cameras. If there is an accessory you enjoy and would like us to mention, don’t hesitate to leave a comment. We always welcome suggestions from our readers! 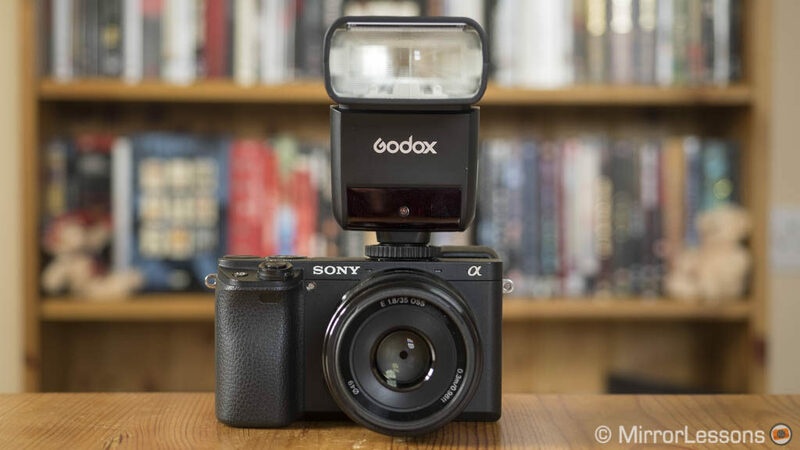 a6300 and a6500: we own the a6300 and previously bought the a6500 to test in-depth. 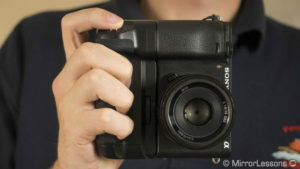 If you are wondering about the differences between the two cameras, you can read our full comparison here. 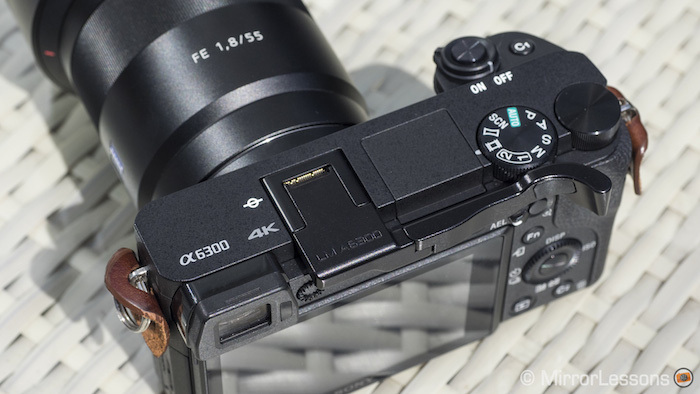 Most of the accessories listed here were tested on the a6300 but we made sure to include compatibility information for the a6500 as well. Updates: if we come across other products worth mentioning, we will add them to the list. Ethics statement: We bought many of the accessories mentioned in this article while others were loaned to us for a limited period of time. 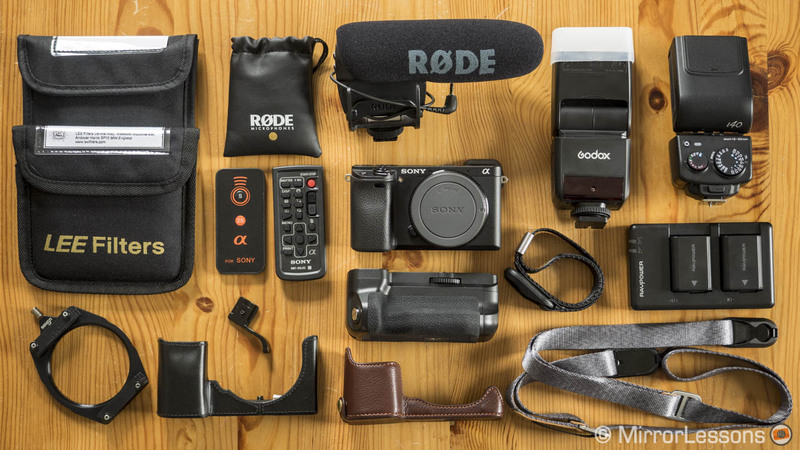 A few of the products we tested in the past on similar cameras. We were not asked to write anything about these products, nor were we provided with any sort of compensation. Within the article, there are affiliate links. If you buy something after clicking the link, we will receive a small commission. To know more about our ethics, you can visit our full disclosure page. Thank you! Half cases are there to beautify the camera more than anything else but they also do the job of providing some extra comfort and protecting the bottom half of the camera. Even if it is a snug fit, some dust will inevitably make its way inside the nooks and crannies over time. 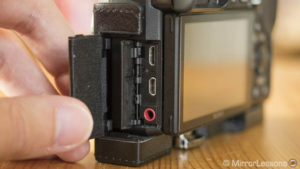 The Sony body case has a few smart features like the opening on the left side that allows you to access the connectors. 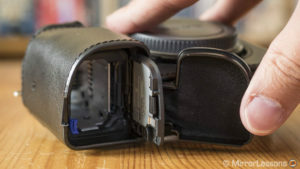 You can also swap batteries and SD cards without the need to remove the case but bear in mind that it adds considerable depth to the bottom which makes it difficult to extract the memory card. 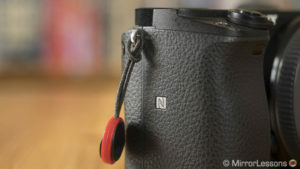 The case can be attached easily thanks to the locking knob at the bottom without additional keys or coins and it features a tripod socket. It doesn’t interfere with the wireless NFC connection. The design fits the shape of the a6300 well including the front grip. It is available in black or brown. What didn’t impressed me is the overall build quality. The faux leather finish feels a little cheap. The case is made of different parts stuck together (including a plastic base) rather than one or two single blocks. The side and bottom openings don’t feel particular strong. I wouldn’t be surprised if they come off after intense or careless use. 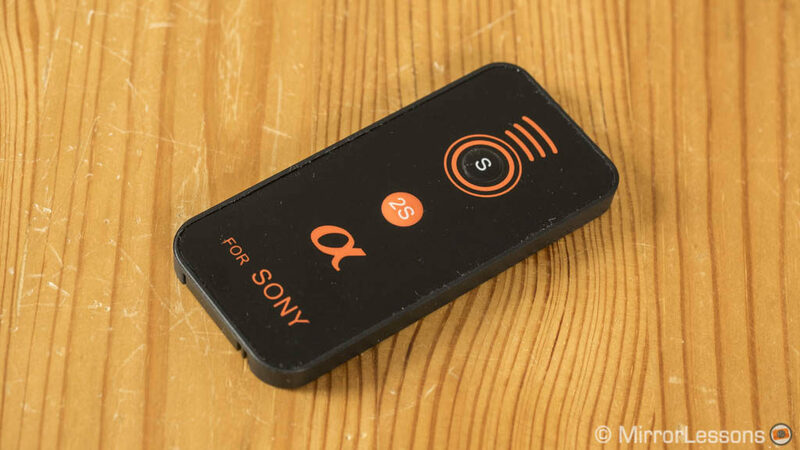 Given the price, I was expecting something better given that it is an official Sony accessory. 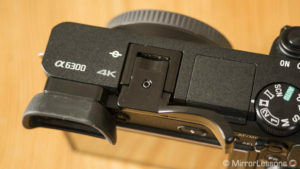 Compatible with a6500: No because the a6500 grip is slightly larger but there is a separate case designed by Sony for the camera called LCS-EBG. It has the same features but is made of genuine leather which suggests a better quality. It is available in black only and is more expensive. 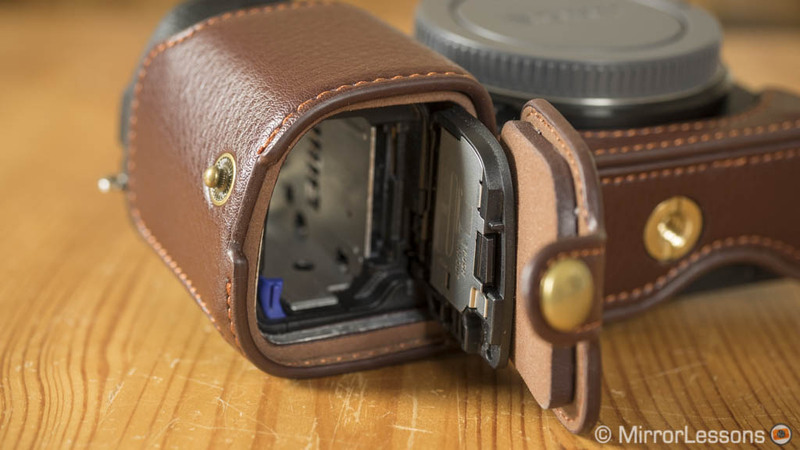 The Bolin half case is reasonably priced, is made of genuine leather, feels well built and is comfortable to use. You can find it in different colour combinations and it adds a nice vintage touch to your Sony camera. You can access the battery and SD card compartment easily because the case doesn’t add much height to the bottom. 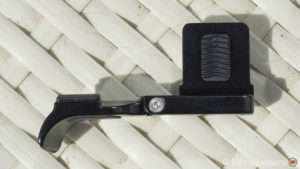 The connectors on the side remain accessible. 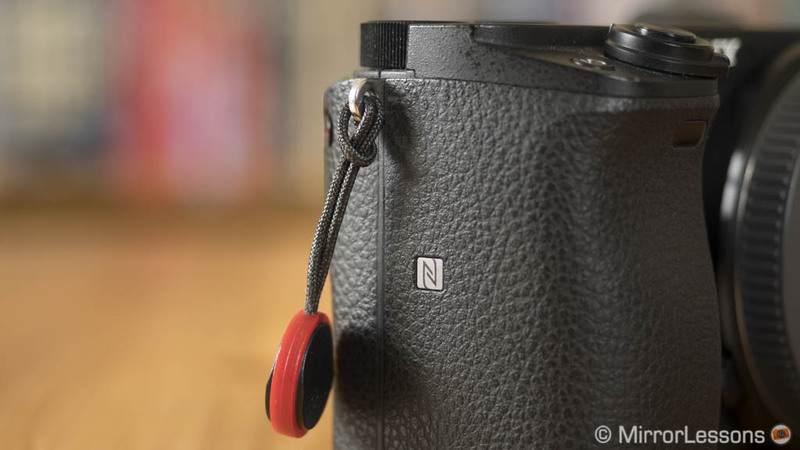 To attach the case you need a screwdriver or coin to tighten the copper knob at the bottom, which also includes a standard tripod attachment. Depending on where you live, you may find slightly different versions of the case. 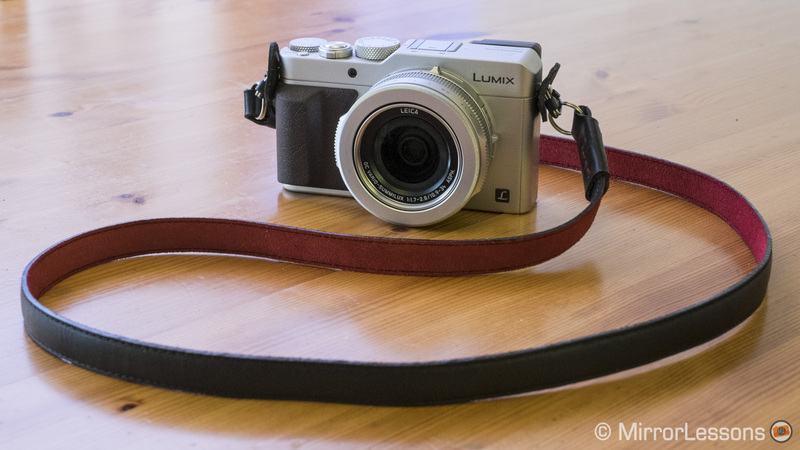 Mine came with a matching colour leather wrist strap that is very nice to use but you can also find it with a full body cover (compatible with the 16-55mm kit lens) and neck strap. 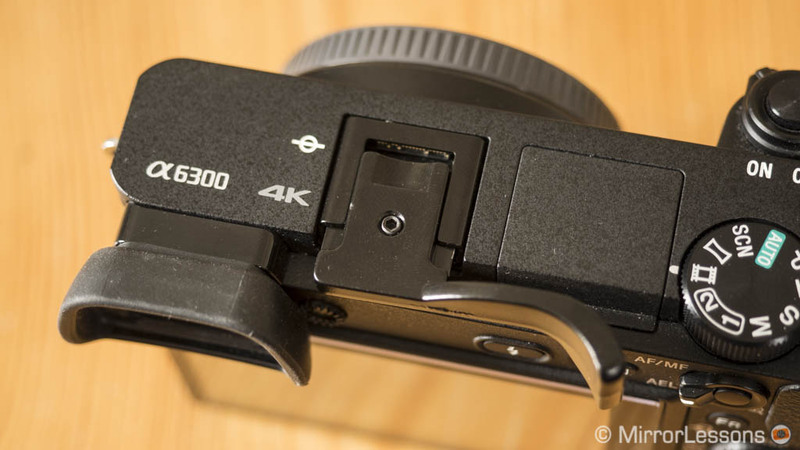 Compatible with a6500: Yes but make sure to choose the a6500 version since the grip is slightly larger. 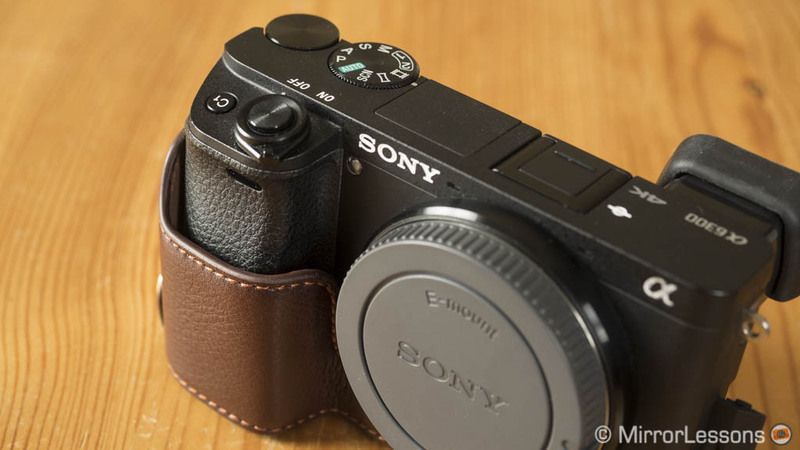 Bolin also has a second version for the a6500 with premium leather quality, more colour choice and a different closure for the battery compartment. However it is more expensive and doesn’t include extra items. 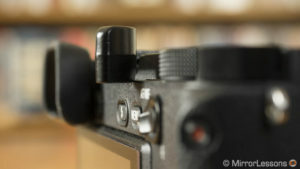 The front grip of the cameras are more than enough for most situations. However if you want some extra comfort, thumb grips are a good solution because they are small and discreet and improve the ergonomics without adding extra bulk. 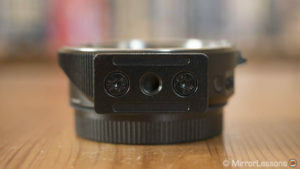 We mention Lensmate products a lot because we love the build quality as well as the clever and comfortable design. 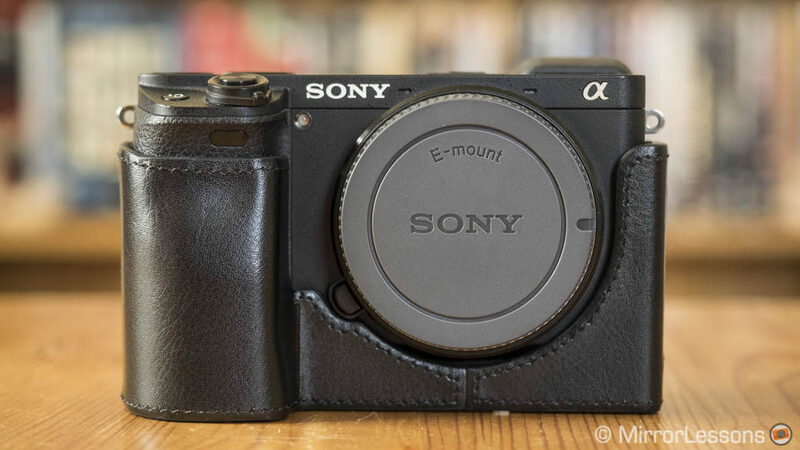 The a6300/a6500 version is no different. 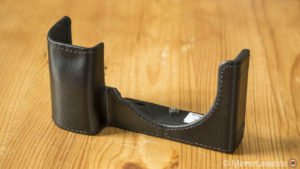 It improves the grip and provides a convenient and accessible place to rest your thumb. 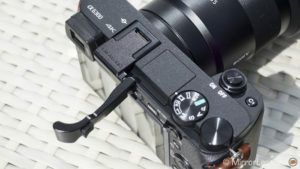 There is an important aspect to take into account however: because of the nature of the camera’s design, the grip rests on the shooting mode dial (a small rubber cushion prevents scratching). 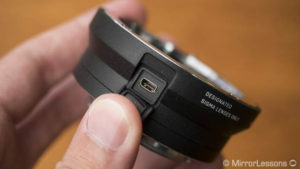 To access the dial you have to flip out the thumb rest which can be a somewhat annoying if you frequently use the dial. All the buttons on the top rear as well as the other dials remain accessible. 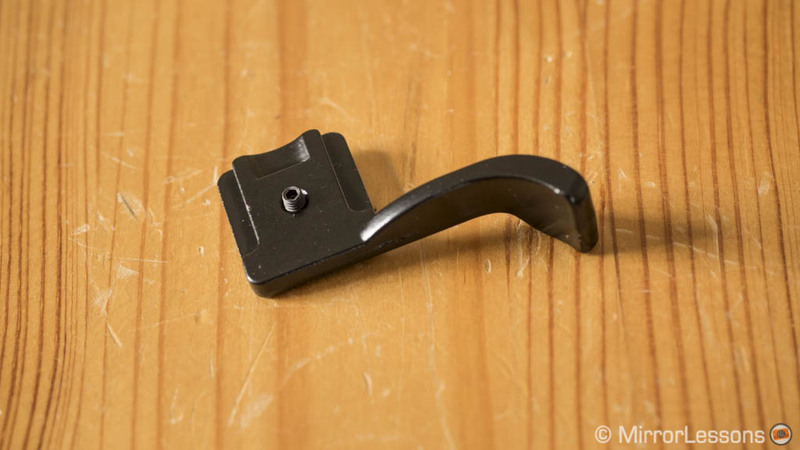 The Gadget grip is smaller and doesn’t interfere with the top shooting mode dial. However the smaller design makes is slightly more uncomfortable because you need to stretch your thumb more in order to reach it. 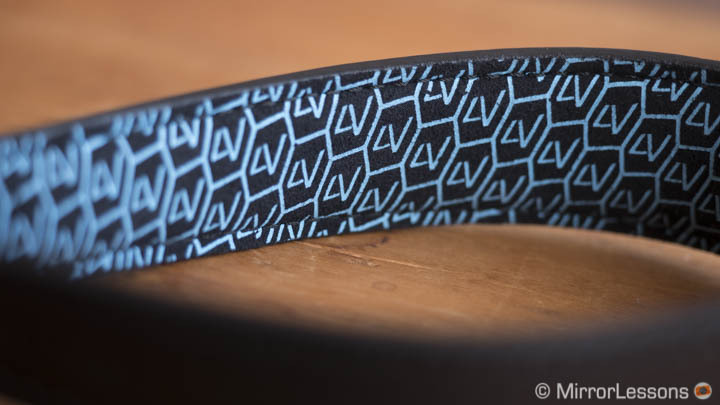 The grip is solid and made of steel alloy. 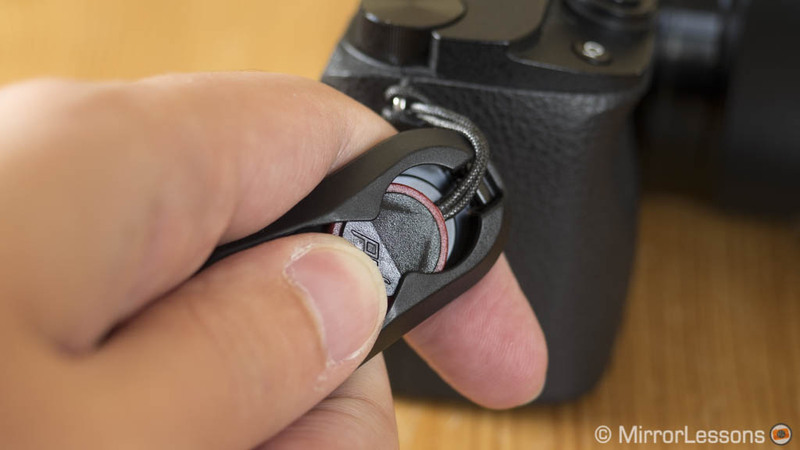 A tiny hexagonal key is included and allows you to secure the grip onto the hot-shoe. 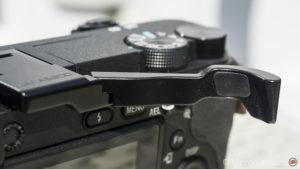 This is necessary because the grip can’t slide into the hot-shoe entirely as the thumb rest part touches the lower ridge of the camera’s top plate. A better design would have probably allowed the grip to slide into the hot-shoe completely and match the camera’s lines better. 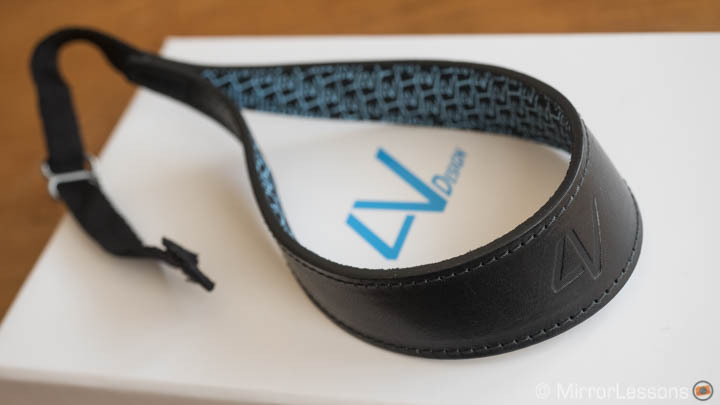 The price is low and this is the main reason to consider one but if you’re after quality, the Lensmate version is more comfortable and well engineered. 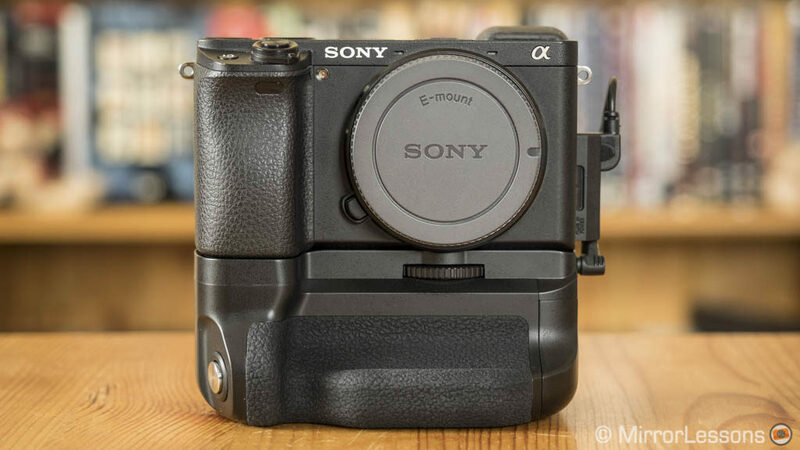 Sony mirrorless cameras have a short battery life and the a6300/a6500 are no exception. Luckily there are affordable solutions to increase the performance. you won’t find additional controls such as aperture/shutter speed dials or a back focus button. 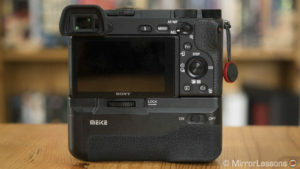 The Meike battery grip can house two NP-FW50 batteries which doubles the capacity of the camera. 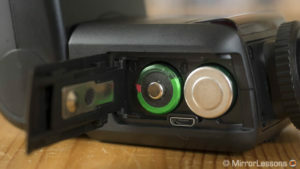 It works by inserting the supplied dummy battery into the camera that will act as a power supply. Connecting the grip is easy as it aligns naturally with the camera: just make sure that the sticky contacts of the dummy battery are properly connected to the socket on the grip. 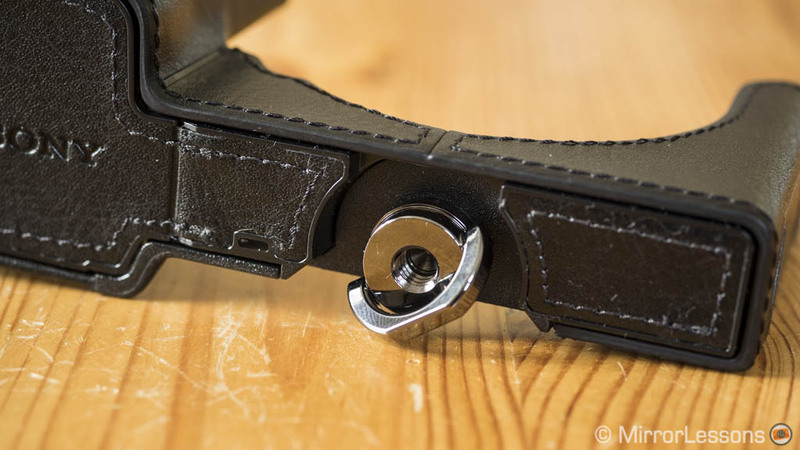 A locking mechanism allows you to secure the pair. Remember that you will have to remove the grip every time you want to change the memory card. The build quality is good but it is not weather sealed. The shutter button of the Meike is precise to use and responsive and I actually prefer it slightly to the native one of the a6300. The grip is covered with rubber and is comfortable to hold in vertical orientation: your middle, ring and pinky fingers rest comfortably and the grip is large enough for people that have big hands. If I were to nitpick, I could say that the front should be a little thicker. When using the camera in landscape mode, the grip still adds more comfort. The lack of any other buttons or dials on the rear makes it more uncomfortable to use in vertical/portrait mode however. 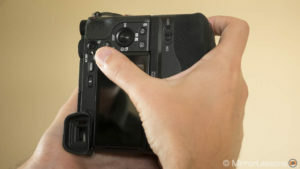 You can still manage to reach the camera’s rear command wheel but to rotate the top exposure dial or access other buttons, you need to use your left hand as well. The camera doesn’t recognise two batteries so it will display the percentage left for the first battery, then switch to the percentage of the second once the first is empty. I noticed that the readings are sometimes misleading. For example it can switch to the second battery while the first is not yet empty (18/20% of juice left). If you want to use the remaining charge of the first battery, you will need to pull out the second. 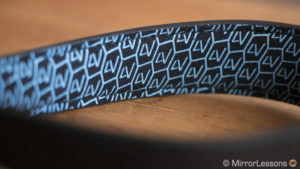 Note: the same product can be found under different brand names including Vello and Neewer. 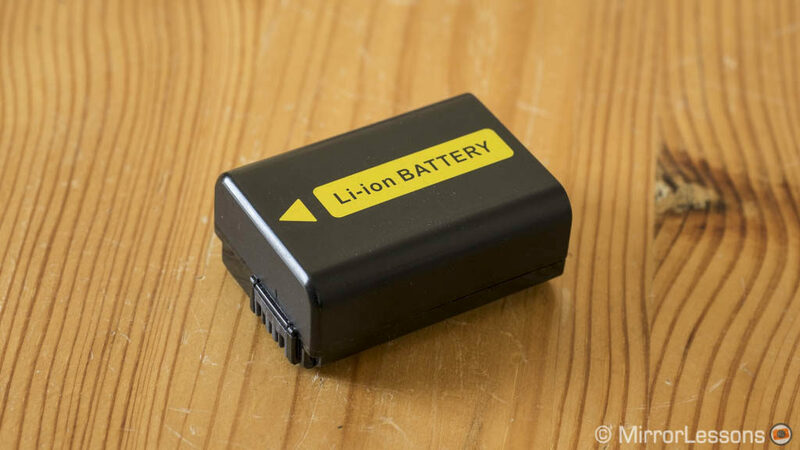 Patona is one of the most trusted companies in Europe when it comes to spare batteries. We own two of them that we got in a bundle with a USB charger. They’ve been working fine although after two years of use they’ve started to lose some endurance in comparison to the originals. The new premium versions have more amperage, a lower power consumption and should prove a better choice in the long run. You can easily find a bundle with two batteries at an attractive price and Patona sells cheap chargers as well. 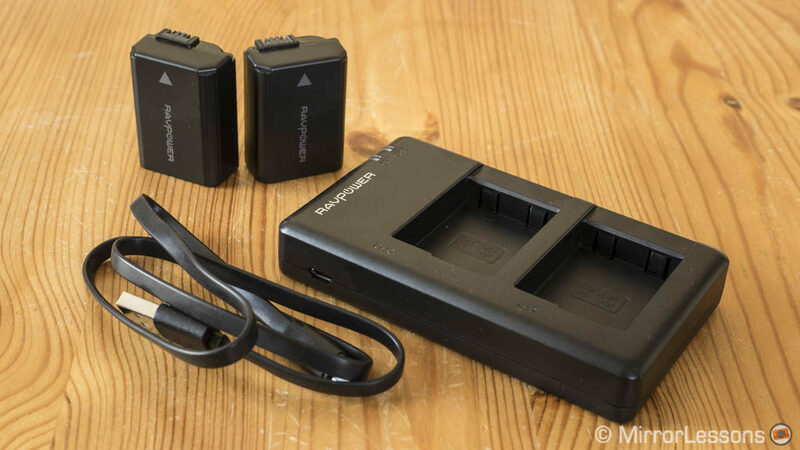 RAVPower gives you a better deal than Patona if you are lucky enough to find a bundle with two batteries and a USB charger. They share the same amperage characteristics of the Sony originals but come at a much cheaper price. The dual charger is very handy and can re-charge two batteries from 0% to 100% in approximately two and a half hours. Charging one battery is faster with a duration of approximately 1 hours 1/2. Two handy LED lights show you when the first and then the second battery are charged. 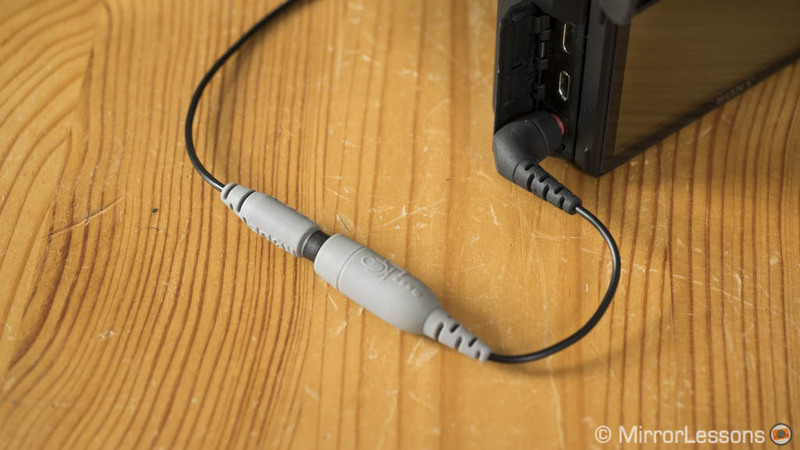 The double charger comes with a USB cable which is useful to charge from a computer, portable charger or even in your car. You will need an optional USB wall adapter to charge it via a regular socket though (the one provided with the camera worked fine for me). 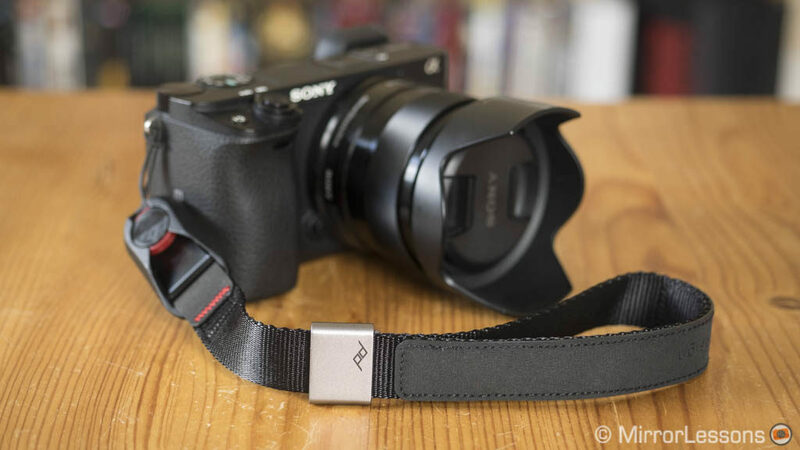 As for the performance, they lasted more than my original used Sony batteries especially when recording 4K video with a 30min clip consuming approx. 30% instead of 45%. The battery life decrease more rapidly when there is a 50% charge remaining though. 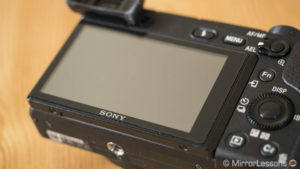 Sony cameras aren’t famous for their rear LCD build quality. The coating in particularly often starts to come off after a year of use. Applying a screen shield is not a bad idea and gives you more protection against scratches or severe impacts. don’t rush and spread from the centre towards the edges or carefully from one side to the other. If some bubbles appear, drag them out right away. 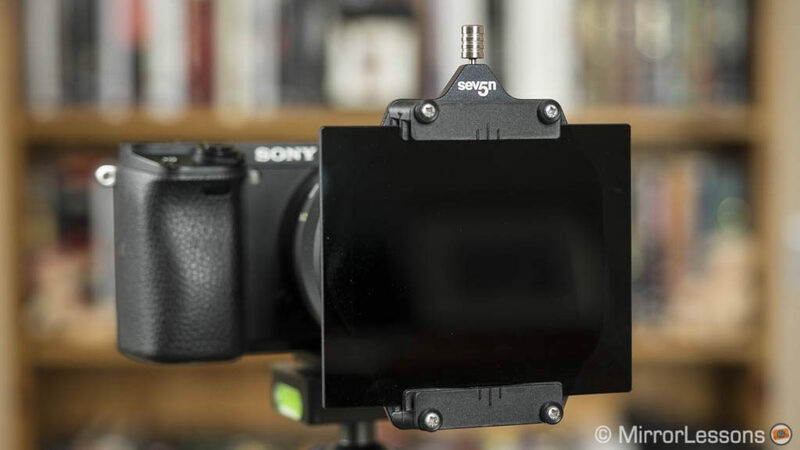 The PCK-LM17 is a semi-hard screen shield with a dark frame that matches the size of the a6300/a6500 LCD monitor. Actually after applying it I noticed the screen is ever so slightly smaller but it is not a big concern. 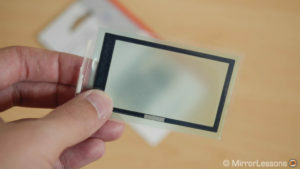 To apply it, you simply remove the two protective covers, align the black border to the top left corner of the LCD and press it against the screen to attach. 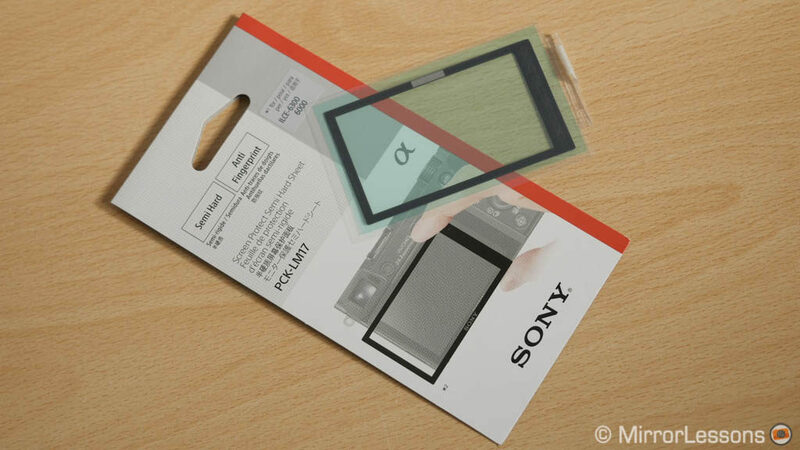 Just make sure to apply it with the right orientation: the Sony name goes at the bottom and the thinner border goes on the left. The installation was super easy and I had no trouble at all with bubbles. Sony also advises you not to press at the centre to avoid having a rainbow pattern appear on the shield. 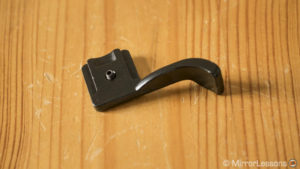 When applying it, it might be a good idea to take off the EVF eyecup just to have a better view. Although Sony lists the accessory as compatible with the a6000 and a6300 only, the a6500 screen size is exactly the same and several users have reported that it doesn’t affect the touch screen capabilities. 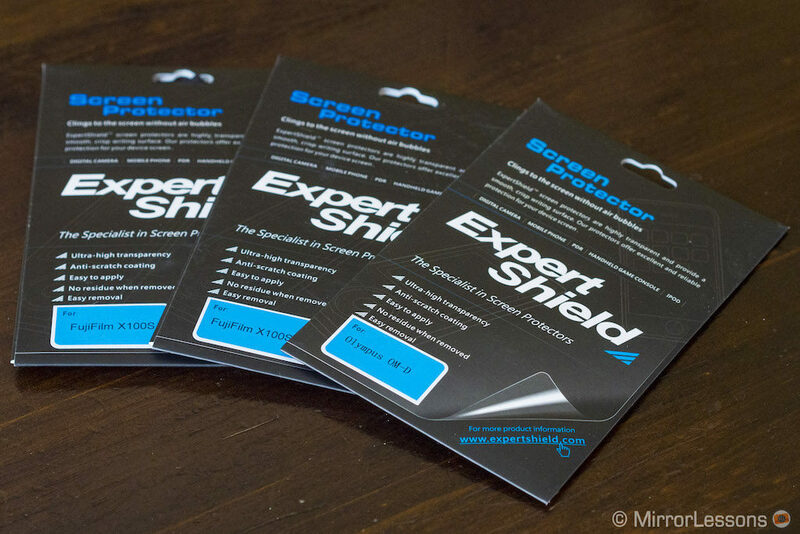 Expert Shield is one of our favourite brands. They produce excellent soft screen covers if you don’t like the semi-rigid types. 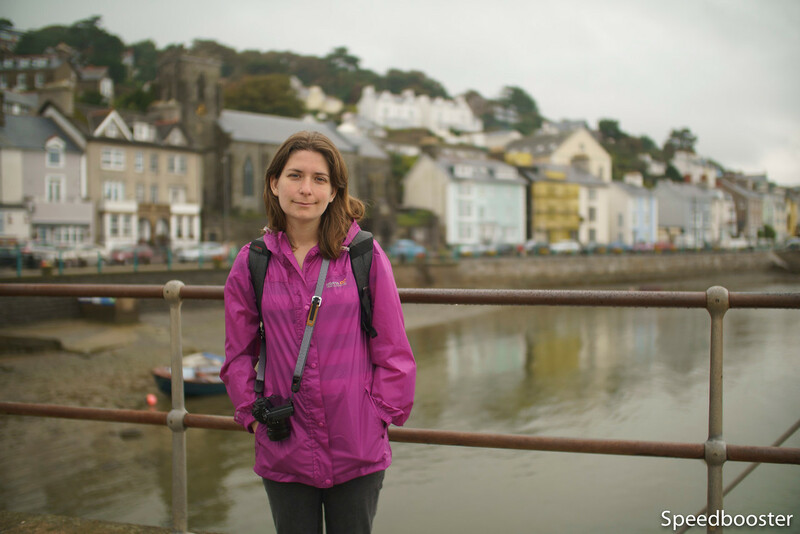 We’ve used them on several of our mirrorless cameras and always find them resistant and reliable. There are three shield types you can choose between: Anti-Glare features a special matte finish that reduces reflections, Glass is 0.28mm thicker while the Crystal Clear version is more discreet (0.15mm thick only). They are easy to install and don’t interfere with the touch screen. Included in the package is a lint cleaning cloth. 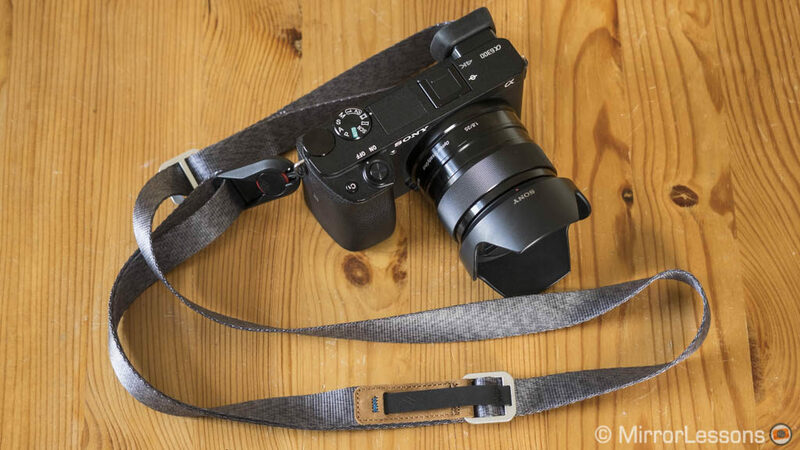 The strap provided with the camera does the job but you may be tempted to use something more comfortable, stylish or practical. 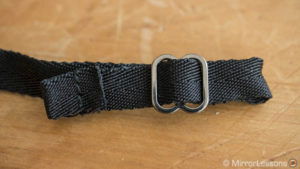 The new Leash strap is a great improvement over its predecessor. 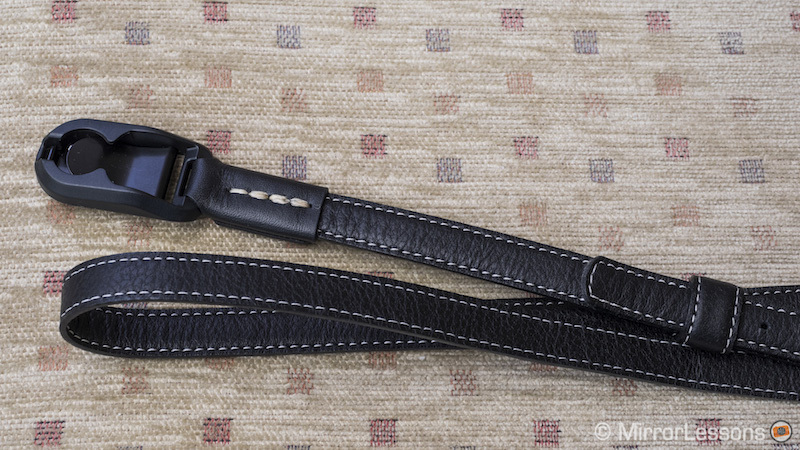 Available in two colours (Black or Ash), it features two quick adjusters to shorten or lengthen the strap while wearing it, which are really comfortable and easy to use. 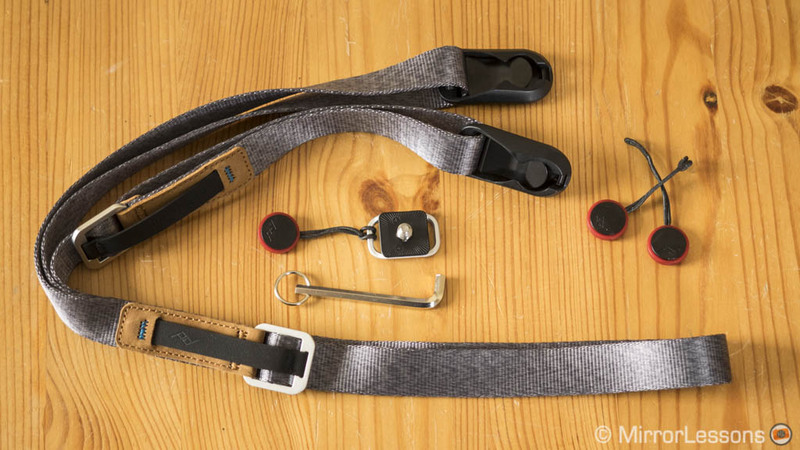 The strap is made of high quality material including aluminium anodised hardware, hypalon and nylon webbing. It is small yet resistant and comfortable to wear around your neck (especially when using small prime lenses) or over the shoulder thanks to the aluminium plate that you can attach to the bottom of your camera. The quick release anchor links are thinner than the previous ones which allows you to slide them in the eyelets of the camera directly. To consider: if you use large and heavy lenses, you may want to consider something larger like the Slide Lite or Slide straps. 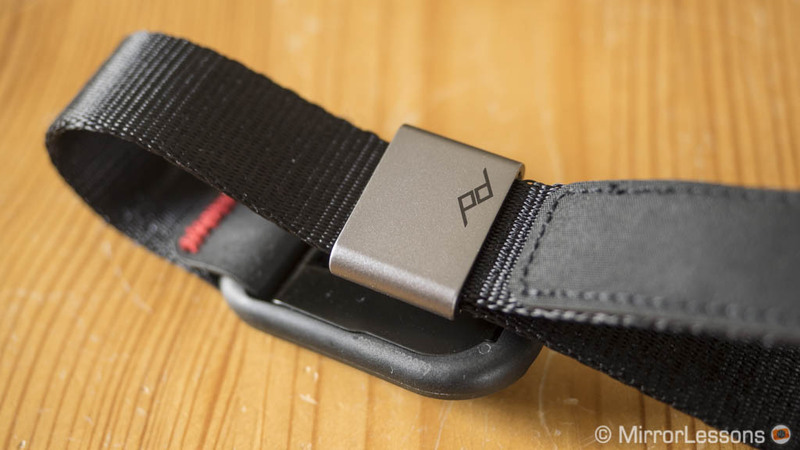 You can see them all in our Peak Design strap comparison here. 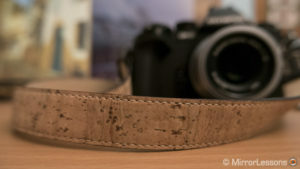 If you like simple and minimalistic straps made of real quality leather, then Nucis is an excellent choice. There is a good selection to choose from: some have more of a vintage look while others are more elegant. Personally we like the Good Vibes series because of the contrasting colours on either side (red and black or orange and brown). They are comfortable to use and have a premium feel. There is also a version compatible with Peak Design anchor links. Finally if you like eco-friendly products, the Cork version is an interesting alternative and is surprisingly robust. 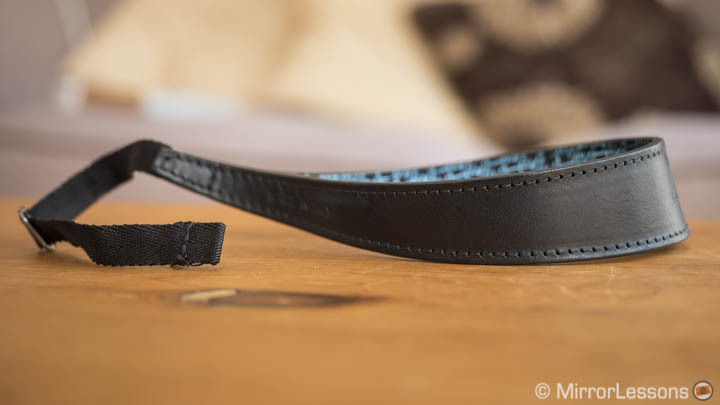 If you like to use your a6300 or a6500 with one small prime lens, then a wrist strap might be all you need. Here are two products I really like. 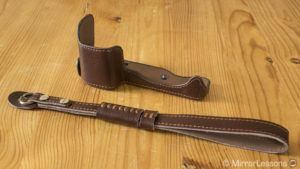 The original Cuff was a little bit too simplistic and lacked the “wow” factor of Peak Design’s other products. The new Cuff is a good step forward. First it comes in two different colours (Black or Ash). 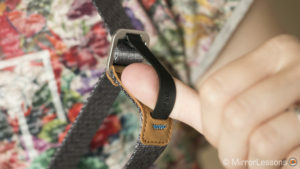 Second it has a clever one-handed adjustment mechanism whereby you simply tug or pull the strap. When not attached to the camera, you can wrap it around your wrist like a bracelet: the anchor link placeholder remains attached thanks to the internal magnet that you can reposition. 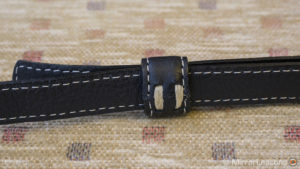 Here as well the quality of the materials is excellent and the strap is soft and comfortable. 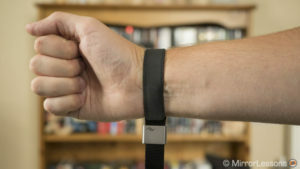 To consider: when worn as a bracelet, the magnet is not strong enough so it can detach and doesn’t fold well around small wrists. The Ergo strap has a nice pre-curved shape that rests naturally on your wrist and prevents it from slipping away. It is made of tanned Italian leather and is available in five different colours. On the inside, soft foam padding improves the comfort. 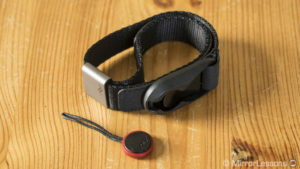 At the end there is a robust 10mm attachment band that is adjustable. Included you find a metal split ring, a protective leather pad and a quick release extension. Yes, it is a little bit pricey but it is one of the most comfortable wrist straps I’ve ever tested. 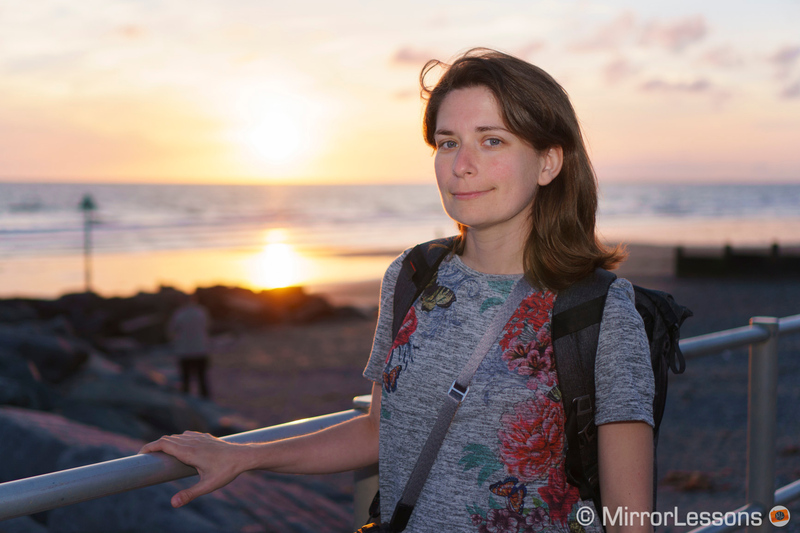 Sony offers an interesting range of speedlights going from the most simple to the most advanced but they are usually expensive. 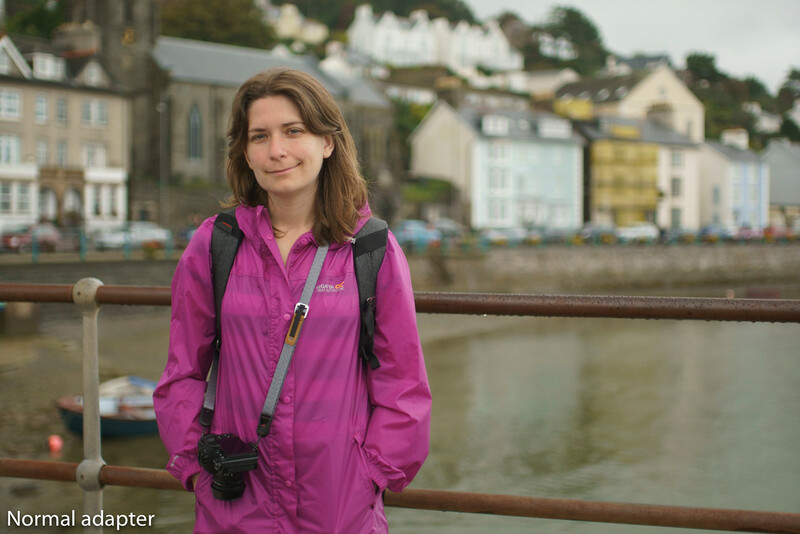 Here are two affordable alternatives if you want to begin to experiment with flash. The Godox TT350S is a lightweight and compact flash that fits the size of the a6000 series perfectly. 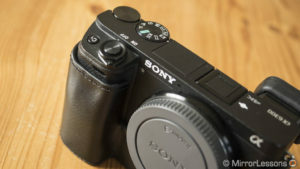 It has a good plastic build quality and doesn’t feel too cheap despite the low price. You may find the head stiff to rotate at first but it will loosen over time. 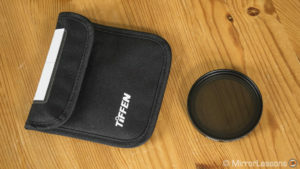 It comes with a soft pouch, a soft box and small stand. The TT350 is very easy to use thanks to the rear LCD screen and user interface. The buttons are responsive and easy to press and the central dial is precise in operation. There is a USB port to receive firmware updates. Unfortunately the AF Assist beam doesn’t work with E-mount cameras but that is a Sony limitation. The flash has lots of interesting features including full TTL compatibility, HSS and a Multi strobe mode. Its guide number however is not really powerful (GN 36m / 118f) and you can see its limitation when working outdoors in HSS mode for example: the flash is not able to output a lot of power unless you keep it really close to the subject. It is powered by two AA type batteries and the battery life as a result isn’t great. The recycle time isn’t bad when the batteries are fully charged but it can easily decrease to 5 or 8 seconds especially when using the flash at full power. The good news is that it can work as an optical slave in manual mode and more important, it can be used as a master or slave unit with TTL and HSS with the 2.4GHz radio transmission. It is compatible with many other flash units of the same brand. 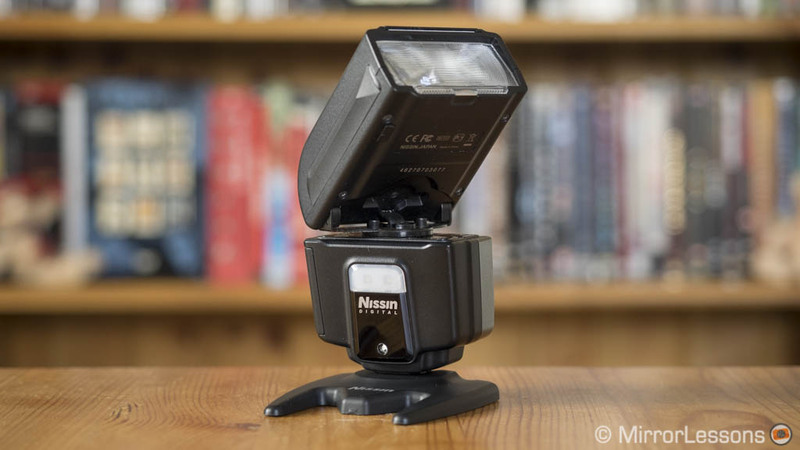 The Nissin i40 is a compact flash that I’ve used extensively with Micro Four Thirds cameras but there is a Sony version with the same range of features. It is made of plastic but the build quality is excellent. You won’t find a LCD screen on the rear but rather two main dials that are easy to use but move a little too freely. 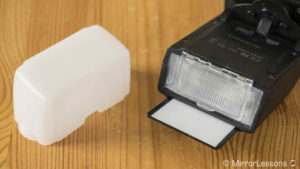 It comes with a soft box, a small stand and a soft bag. 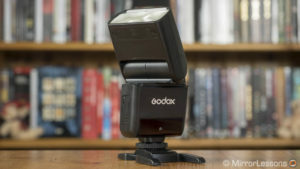 It’s not the most powerful flash you can find but the decent guide number of 40m means it does a little better than the Godox. Features include TTL, HSS and optical wireless functionalities with 4 channels and 3 groups. Unfortunately there aren’t any radio capabilities. The recycle time stays above 3s but can increase a lot when the battery life starts to shorten. 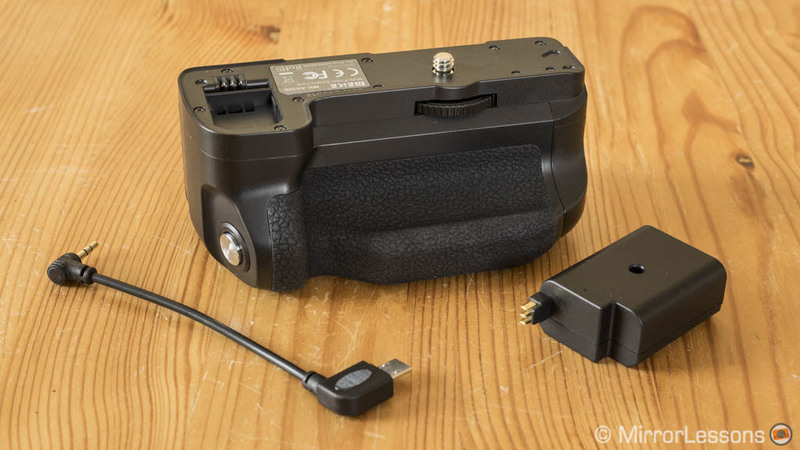 It takes 4 AA batteries which means the overall battery life is better than the Godox. Filters can be an excellent ally for long exposures, landscape photography, portraits and many other things. 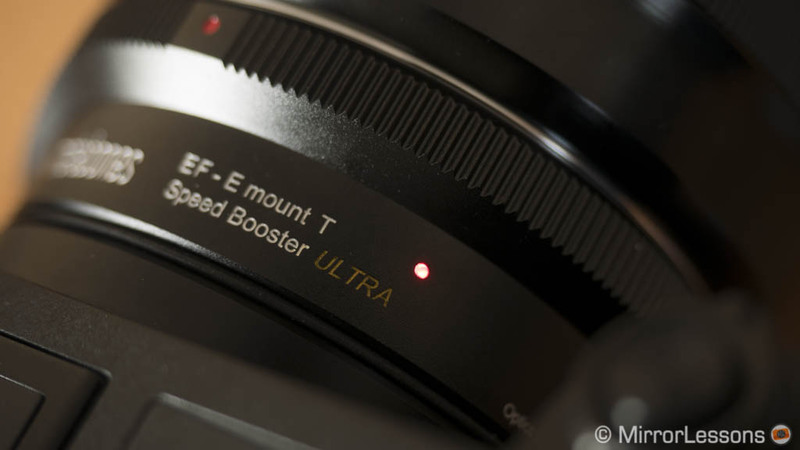 Choosing the right one depends on a number of factors, including the type of mount you want to use. 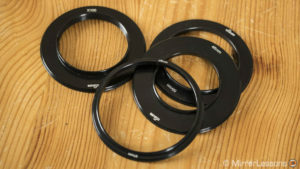 Circular filters are a good solution if you work with lenses that share the same filter thread or if you mainly use it one lens or two. 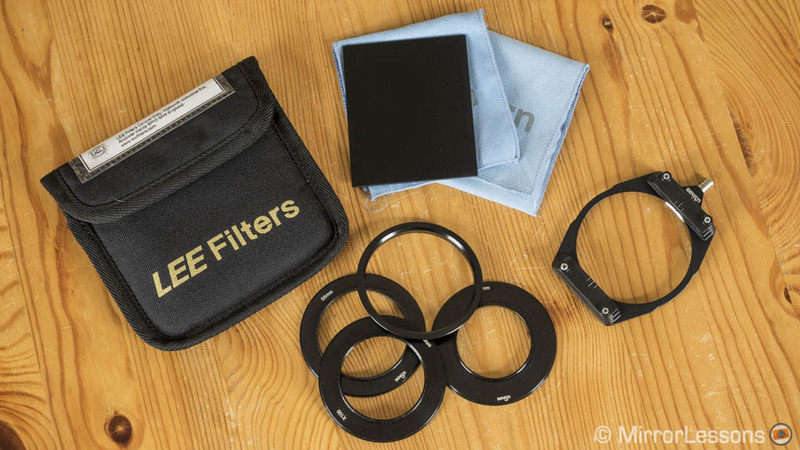 If you have lots of lenses with different filter sizes, then a square filter system might be more appropriate. 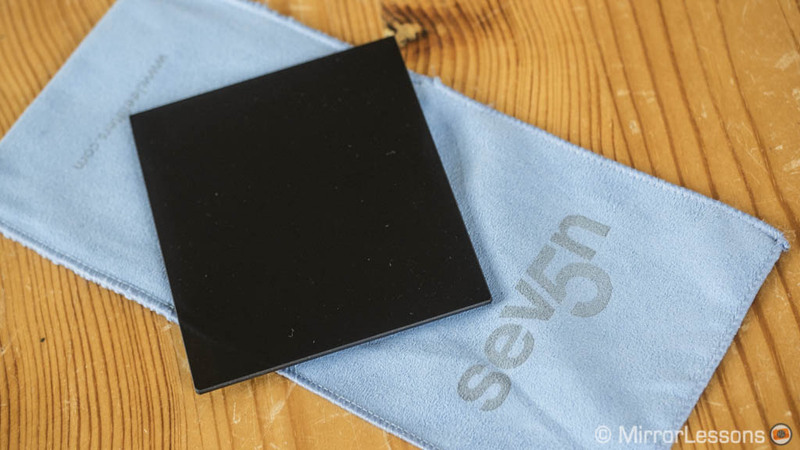 The Lee Seven5 series is smaller than the 100mm series and specifically aims at mirrorless cameras since they offer lenses with a small filter thread. The holder can take up to two filters and there is a good selection like the Little or Big stopper and a specialised polariser that you can attach to the filter holder directly. To attach the filters you will need an adapter ring that matches the filter thread size of the lens. The filters are expensive but the quality is high. There are different kits available (excluding the adapter rings that must be purchased separately). 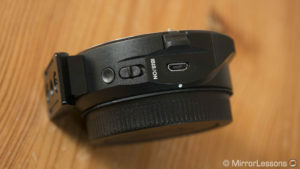 Note that the E 10-18mm f4 and PZ 18-200mm f/3.5-6.3 are not compatible. 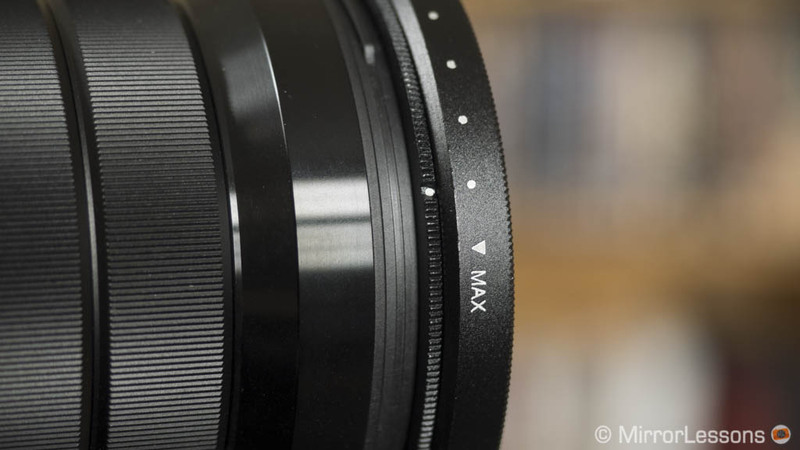 You can check out the full list of compatible lenses on the Lee website here. There are lots of different options when it comes to circular filters. I have experience with Hoya products and I recommend both their polariser Pro1 as well as the Infrared R72 if you want to experiment. Another good idea can be a variable ND filter especially for those interested in doing stills and video. 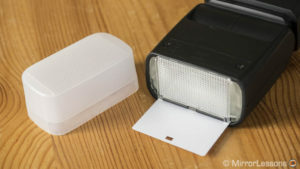 For the latter especially it becomes an extra tool to control the exposure in daylight. 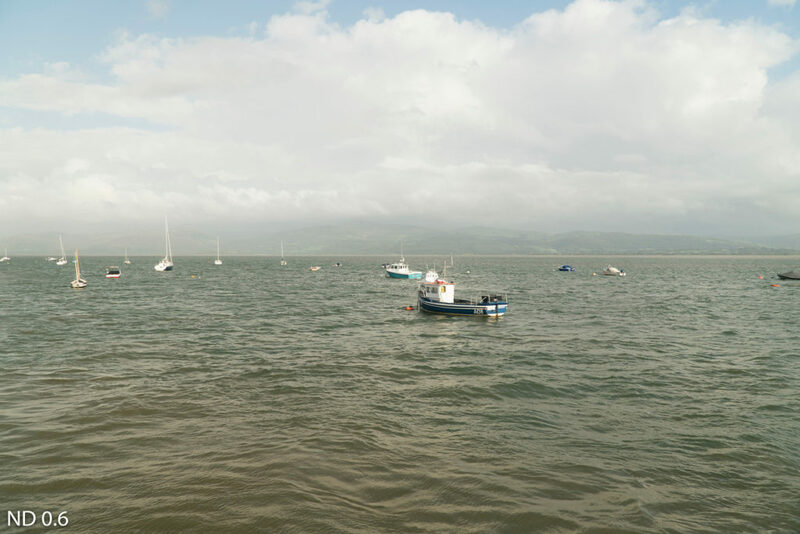 For example if you are working outside with a mix of clouds and sun, it is likely that the light intensity is constantly changing. 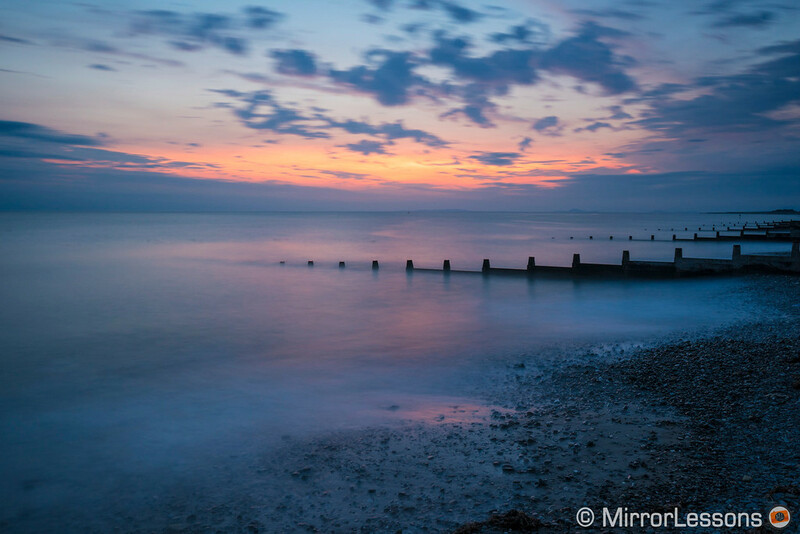 Adjusting the filter by half a stop or 1 stop to maintain a correct exposure allows you to keep your desired shutter speed and aperture. The Tiffen Variable Filter has a range that goes from ND 0.6 (2 stops) to ND 2.4 (8 stops). It is well-built and the markings on the ring allow you to select the value easily. 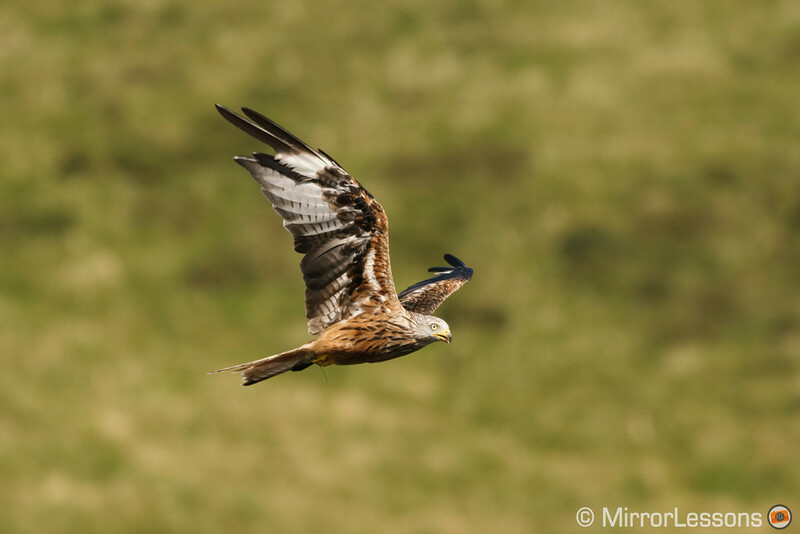 There isn’t any visible loss in sharpness but there are a few cons to be aware of. 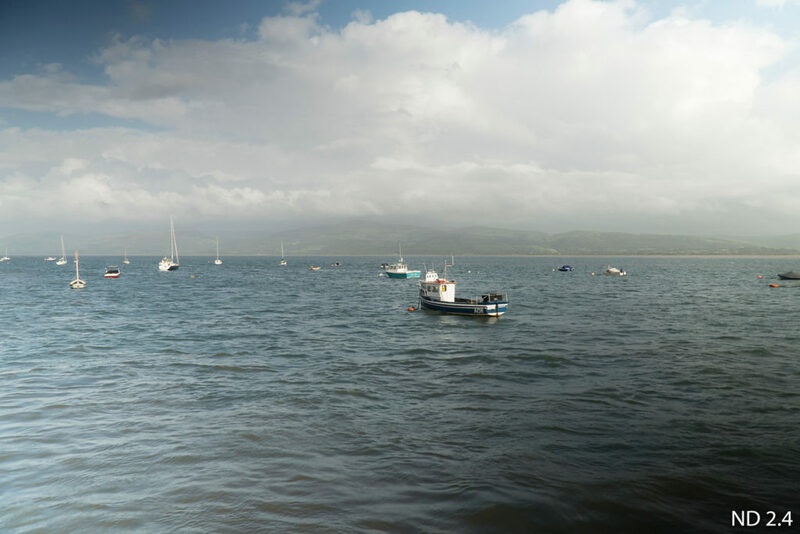 First at the maximum value there is visible cross-type vignetting unless you use a focal length of 30mm or longer. Second between the lowest value (ND 0.6) and highest (ND 2.4) there is a relevant shift in colour hue going from a warmer to a cooler tint. 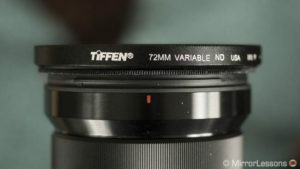 If you can live with these limitations, the Tiffen Variable ND is a good all-rounder for different applications. 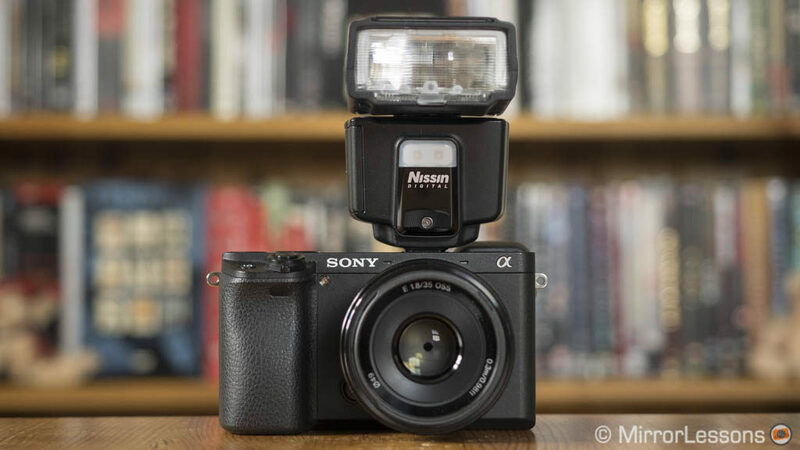 The a6300 and a6500 can shoot as slow as 30s, after which you must use the Bulb mode. 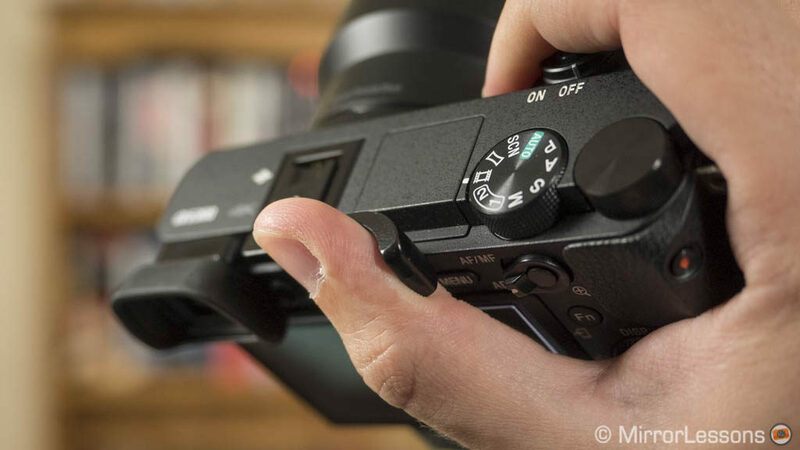 This means pressing and holding down the shutter release button until you reached the desired duration, which can not only be annoying but also increases the risk of micro vibrations because your finger is touching the camera. The Smart Remote app on your smartphone doesn’t solve the issue either. 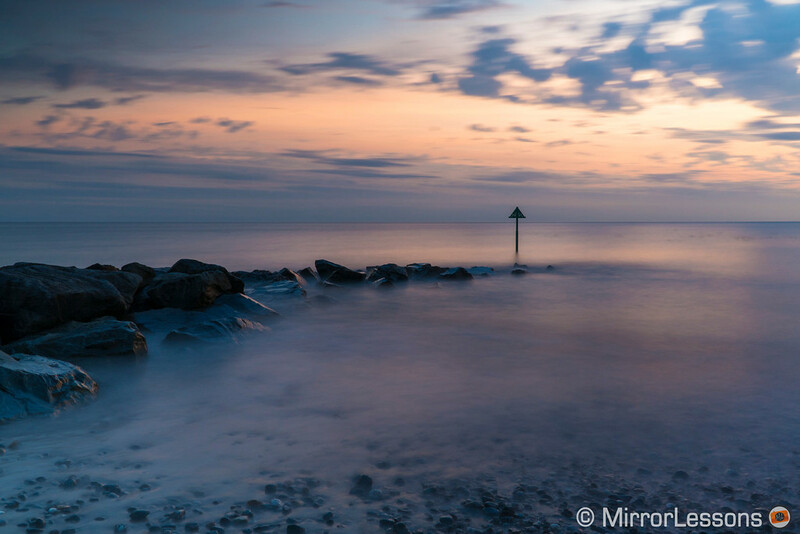 There is another app called Smooth Reflection which merges multiple shots to give you the same look of a long exposure image but if you prefer the old fashion way, you need a remote trigger to go along with your filters. 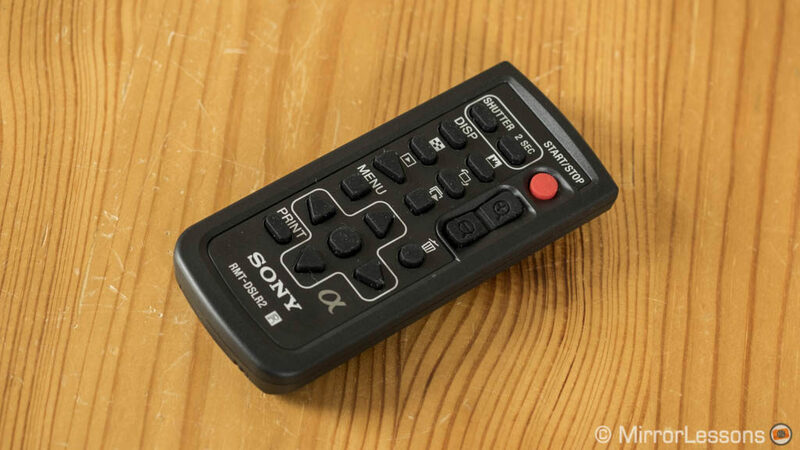 The official Sony remote looks like a mini TV remote (I had a similar one for my old HDV camcorder). To use it you need to turn on the Remote Ctrl setting in the Setup menu (page 3). From there you can use the remote to start the exposure in Bulb: a second press of the button will end it. 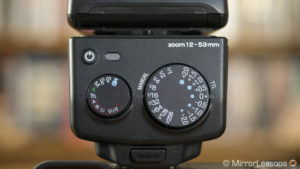 Or you can use it to take a picture at a select shutter speed and even delay the shot by two seconds. You can start and stop movie recording as well. 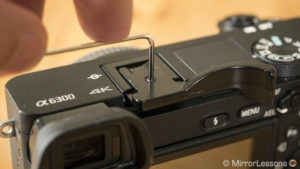 The official manual says that the other buttons can only be used when the camera is connected to the TV but that’s not entirely the case: you can navigate the menu or go into playback mode and delete some pictures. 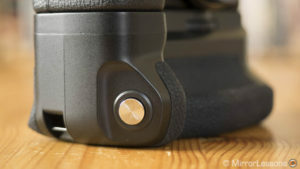 The four arrows and centre button activate the same functions you assigned to the rear control wheel. Despite the infrared sensor being at the front of the camera, the remote works fine from the rear too. 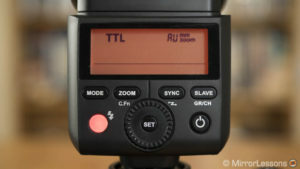 As mentioned above, if you just want a remote trigger for long exposures, then look no further than the Foto Tech remote. There are two buttons only: one to release the shutter and one to add a 2s delay: nothing more, nothing less. Note that it won’t start movie recording. The a6300/a6500 have one of the best phase detection autofocus systems with 425 points. 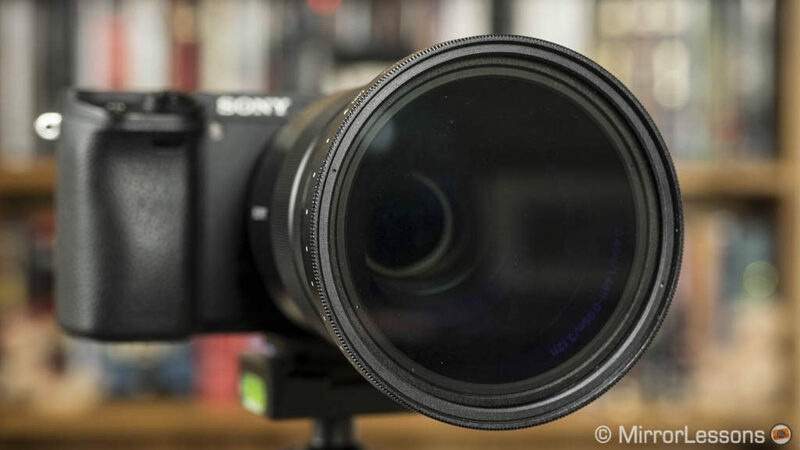 The hybrid AF allows you to use DSLR lenses (Sony A-mount, Canon EF-mount) with excellent results thanks to select compatible adapters. 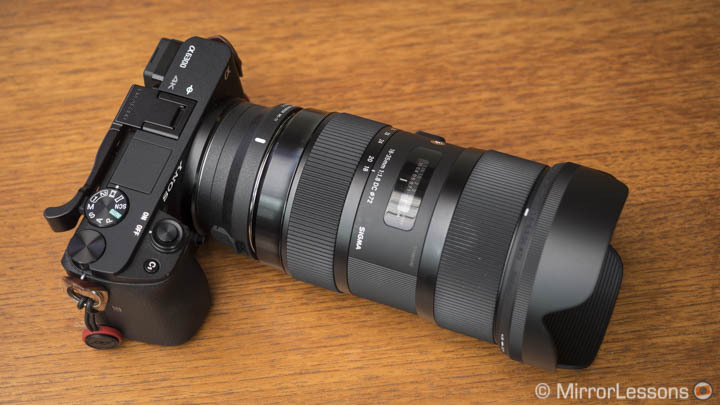 Just keep in mind that the small size of the camera body isn’t really suited to large and heavy lenses. 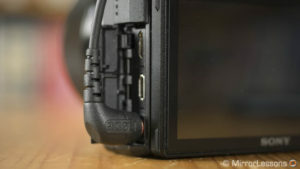 The camera is popular for video shooting and there are some other adapters with clever characteristics for filmmakers. The MC-11 is one of the best adapters around and comes at a competitive price. 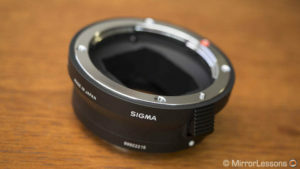 It offers compatibility with all the recent Art and zoom lenses by Sigma (full list here) and works with many Canon lenses too. The build quality is excellent and the adapter features a handy LED light that tells you if the lens is compatible or requires a firmware update (Sigma lenses only, USB Dock required). There is a USB port to receive firmware updates. The MC-11 is compatible with most autofocus settings including Zone, Lock-On and EyeAF. In Single AF the camera sometimes prefers contrast detection rather than phase (you can’t select the optional manually) but in C-AF the performance is fast and reliable. It won’t perform miracles with very fast subjects but the keeper rate is decent. The AF works for video too but the performance is slower. 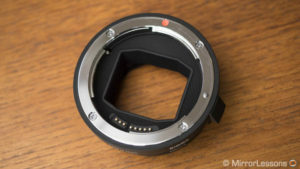 Usually when mounting a full frame lens on an APS-C camera, there is a 1.5x crop factor that reduces your field of view (also referred to as focal length equivalence). 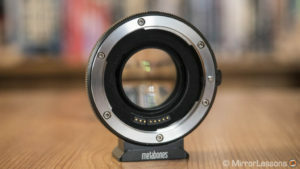 However the Metabones adapter incorporates optical elements designed to make the lens 0.71x wider. So if with a normal adapter, the Sigma 35mm Art for example gives you the same field of view as a 52mm, with the Speed Booster ULTRA II you maintain a similar angle (the new crop factor becomes a mere 1.07x). That’s not the only trick. 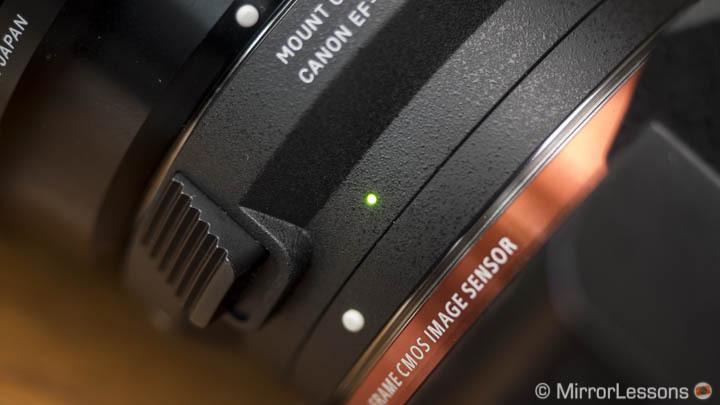 Because the sensor receives more light information and intensity, you gain one stop of light and a shallower depth of field. 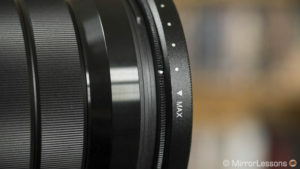 So the 35mm Art becomes the equivalent of a 37.5mm f/1. The Metabones adapter has an excellent build construction and includes felt material inside to reduce reflections. 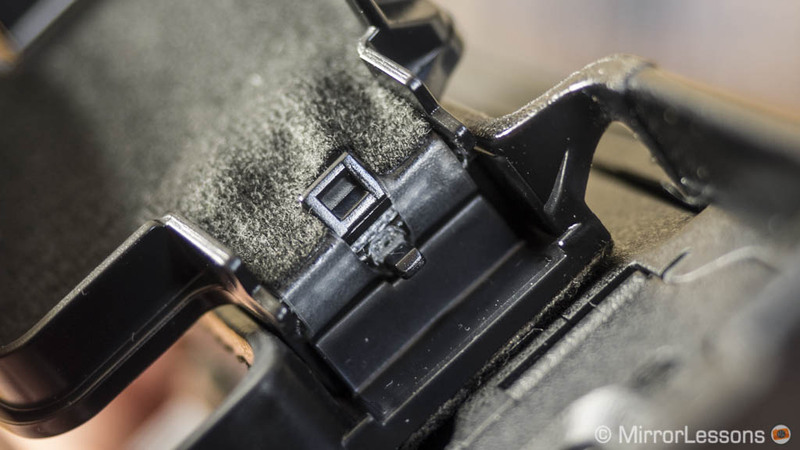 Rubber protects the mount from dust and rain. There is a detachable tripod mount and a small switch to give priority to in-body stabilisation (A7 II series) or OIS. 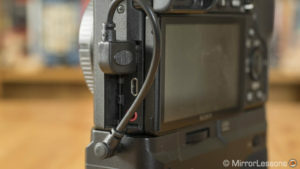 The USB port allows you to update the firmware and change certain functionalities such as using phase or contrast detection (via a dedicated app and a computer). 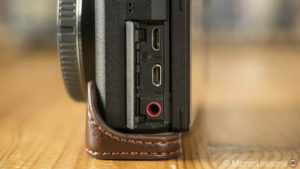 Note that the small rubber cover of the USB port can easily get lost if you are not careful. A LED indicator shows you various information concerning the operation mode, OIS activity and communication status. The AF works well on the a6300 and a6500 for stills if you select the green operation mode that uses phase detection. If you choose the advanced mode, AF works for video but I personally find it unreliable most of the time – plus the lens makes more noise when focusing. The adapter doesn’t affect the optical quality of the lens but there is no support for lens corrections to vignetting, CA and distortion. For more information on lens compatibility and other limitations, I suggest that you give the [official product page] a good read. 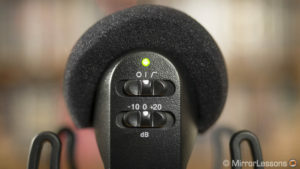 Continuing in the video vein for a moment, another accessory worth considering is a proper microphone. The built-in stereo mic doesn’t give you great results so you can take advantage of the 3.5mm mic input to record better sound. 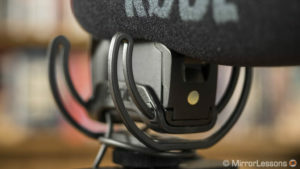 The VideoMic Pro is a popular shotgun microphone and good value for the money to start with. 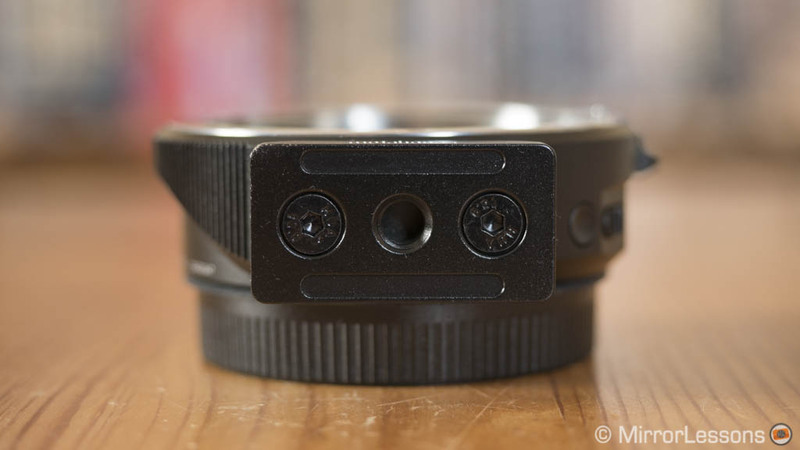 It is extremely lightweight and comes with a shock-mount that provides isolation from the camera body, preventing unwanted vibrations or rumbling when touching the camera. It does feel fragile though and I would be careful when mounting it. The VideoMic takes a 9V battery but inserting it on the front is annoying and uncomfortable. 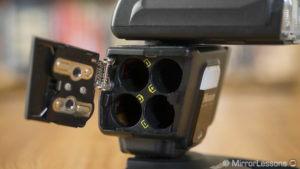 The 3.5mm jack socket connects to the camera’s mic input directly and provides a dual mono signal. On the rear of the microphone you will find two switches. The first turns the mic on and allows you to select a high pass filter (80Hz) which helps to reduce background noise such as traffic or air conditioning. The second switch decreases the recording level (-10db) if your source is close and loud (live music for example), or boost it by +20db. 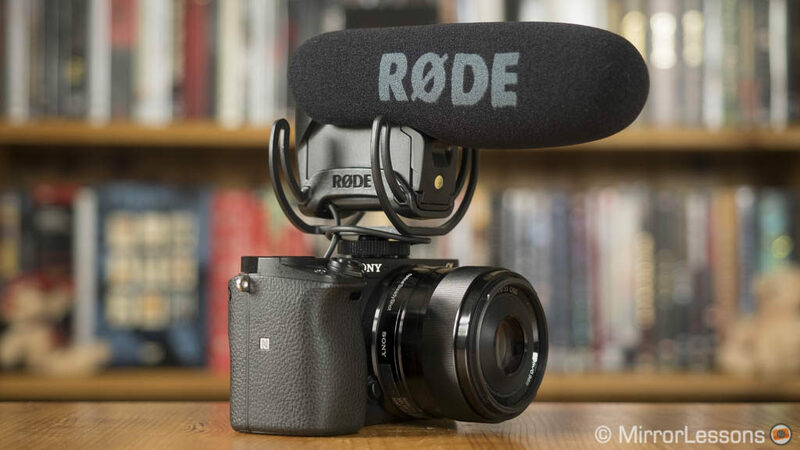 The latter can allow you to reduce the recording level on the camera and therefore generates less background noise due to the small pre-amps and circuitry of the camera. The audio quality is very good and you can definitely feel the difference in comparison to the built-in microphone. The sound is deeper and cleaner. 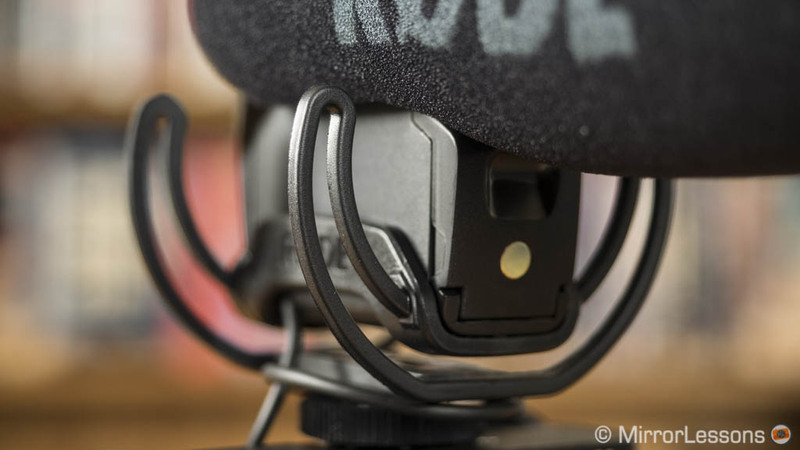 If the person remains close to the camera the voice is audible enough even with noise around, whereas the built-in mic wouldn’t be able to separate the voice from the background noise and everything would feel more distant as well. If you’re lucky, you can find the product in a bundle with the DeadCat wind shield which does an excellent job of minimising wind noise (another example of the limitations of the camera’s built-in mic). 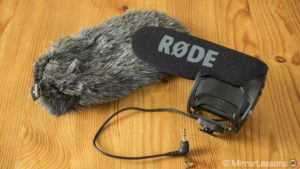 To record people speaking, one solution is to have a shotgun which can be helpful for interviews on the fly where there is no time to set-up a microphone on the person. 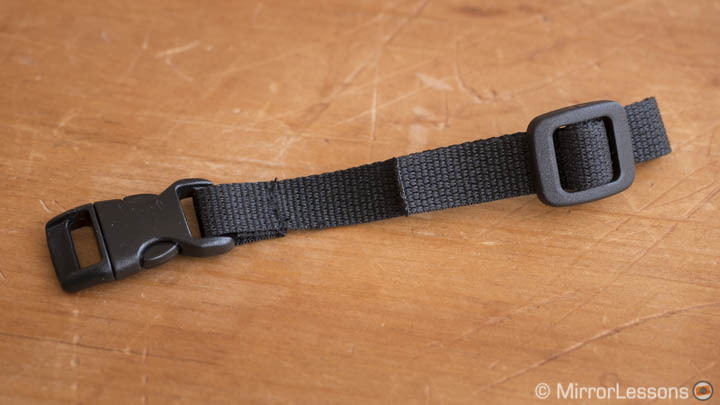 Otherwise a lavalier type is a better solution: it is small and can easily be clipped to the person’s clothes. The one we’ve been using for our YouTube videos is the Rode smartLav+. You can connect it to the camera directly via the optional SC3 adapter (TRRS to TRS) if you want to record audio on the video file directly. However you may not always have the liberty of being able to stay close to your subject as the cord is not very long. 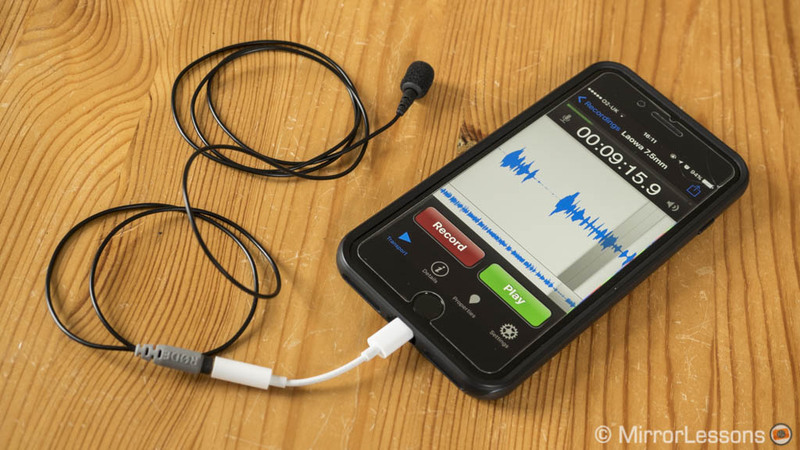 This is where the smartLav+ becomes interesting because its native TRRS 3.5mm plug can be used on a mobile device that becomes your audio external recorder. Rode has a native app with lots of settings for recording quality, metadata and other things but you can also use a third party app. 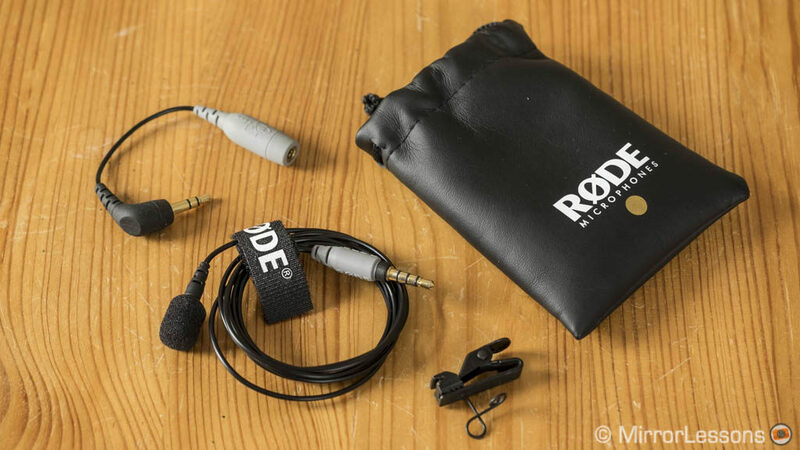 Its the audio solution we’ve been using for our video reviews and is an excellent starter kit if you don’t want to spend a lot of money or do v-logs on a regular basis. 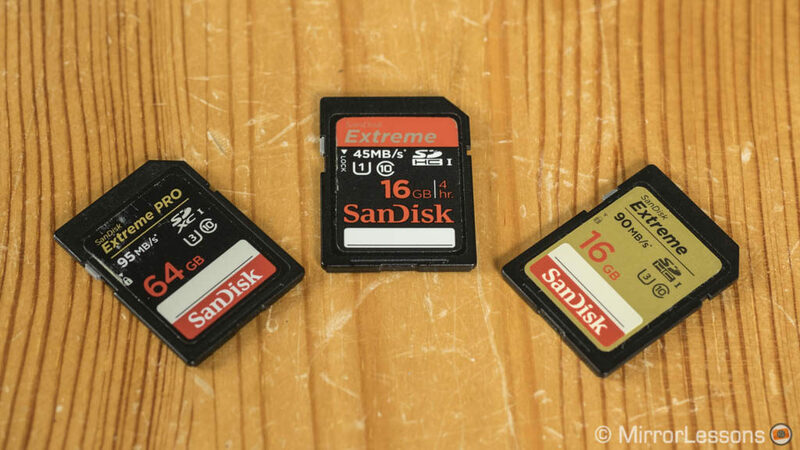 A good accessory list can’t skip a few SD card recommendations. The one we recommend these days is the SanDisk Extreme Pro SDXC 64GB (U3, Class 10) which is good for the Sony XAVC S 4K video codec and gives you plenty of space if you shoot in continuous mode. It can hold up to 2500 RAW files, 3500 JPGs or 80 minutes of 4K video approximately. 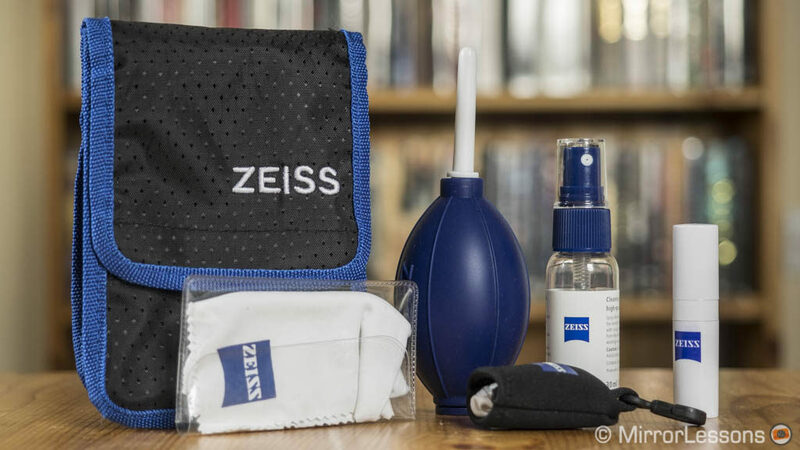 As for the lens cleaning kit, we like the Zeiss one that comes with a handy pouch, a large air blower, dry/wet cleaning solutions and a soft high quality microfibre cloth. 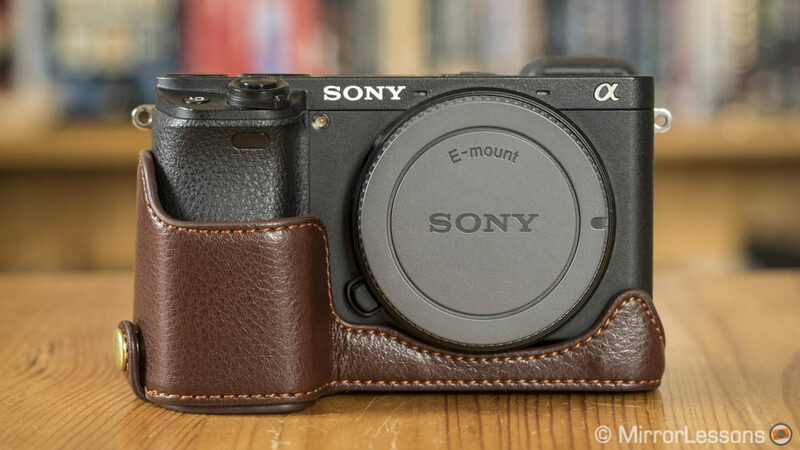 Do you have any other accessories to suggest for the Sony a6300/a6500? Leave a comment below!